Millheads Barbershop, located next to the historic Pioneer Square Hotel, offers clients a relaxing atmosphere and expert barber / stylist services for men and women. Locally owned and operated, the team is dedicated to personalized hairstyles, haircuts, and barbering services. An authentic blend of artistry, technical skill, and passion for our craft makes Millheads a unique experience. 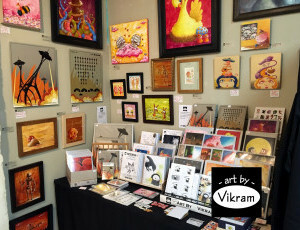 Art gallery (and artist studio) showing fun, family-friendly whimsical and humorous art.